Providing a wide variety of painting services throughout the area since 2004, Jo Co Painting LLC has built a solid reputation in the painting industry one happy customer at a time. Give our friendly, professional personnel a call for a free painting quote, and you'll soon discover why Jo Co Painting LLC stands out as a local favorite! Skill - Jo Co Painting LLC has been in the painting business since 2004 and in that time has painted hundreds of homes and businesses. Jo Co Painting LLC technicians are trained in surface preparation and paint application for all types of materials including wood, metal, plaster, sheetrock, plastic, concrete and more. Naturally we are skilled at painting walls, trim, ceilings, mouldings, windows, sashes, eaves, railings, doors, decks, furniture and more. 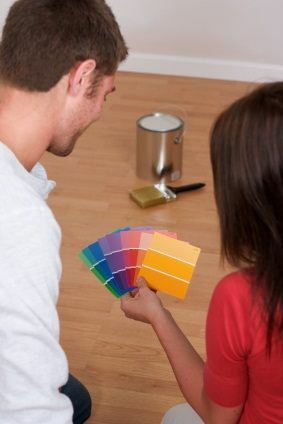 Your home or office is in skilled hands with Jo Co Painting LLC's experienced professional painters. Price Leaders - Jo Co Painting LLC's written painting quotes are always competitive and priced for the complete job, not half of the job! You won't be hit with hidden fees and expenses. Find out today how reasonable Jo Co Painting LLC's services are. Call for a free estimate. Top Quality - Jo Co Painting LLC won't skimp on painting supplies. We use only top quality materials that are sure to last for years without cracking or fading. Our painting technicians are hand selected and extensively trained to ensure that our customers are always happy with the end result. Professional Service - Jo Co Painting LLC is a leading painting contractor in the area. Our professional painters have years of experience and can make your house or office look new again with a fresh coat of paint. Call (913) 278-1878 for a free quote. You will be happy you did!